Introducing the new TLSFx 3rd Generation pyrotechnics are designed to be the most effect and the, most realistic airsoft, milsim and paintball devices available. The M10 Ball Grenade with paintball payload is the TLSFx 3rd Generation ball grenade designed for pa.. 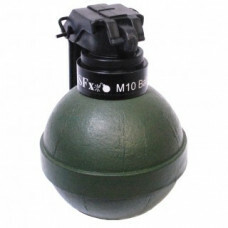 The M10 is the TLSFx 3rd Generation ball grenade with Dried Pea payload is designed for the airsoft .. 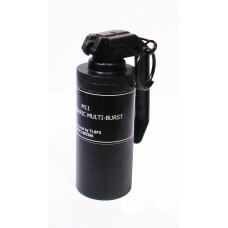 The versatile inert powder loaded M10 is the TLSFx 3rd Generation ball grenade designed for airsoft,.. The M13 is the latest incarnation of the well proven TLSFx Thermobaric grenade. The dazzling flash g.. The Large Tactical Pack from TLSFx gives you a full selection of TLSFx's acclaimed and revered 3rd G.. The small Tactical Battle Pack is a mix of our most popular 3rd Generation products. Consisting of M..